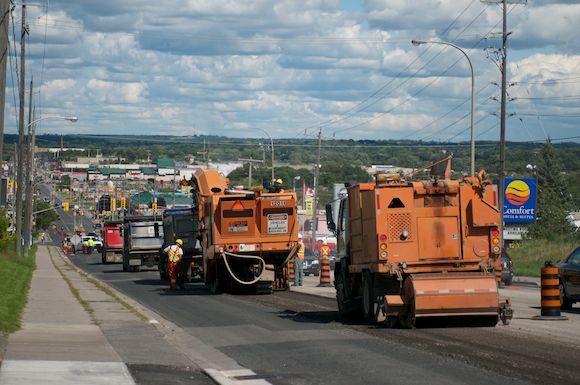 There is road construction everywhere right now in the city: on Parkhill near Monaghan, on Water Street between the Zoo and Trent. And then there is Lansdowne Street West, which is going to be very congested for the next little while as sections of the road are being widened and resurfaced. Currently it is down from four lanes to two lanes of access. The intersection of Brealey Drive and Lansdowne is also being worked on, which will hopefully alleviate it from being a high accident location.